High Pressure Laminate Round Banquet Table 72"
Tabletop has a seam down the center since it is constructed from two pieces. 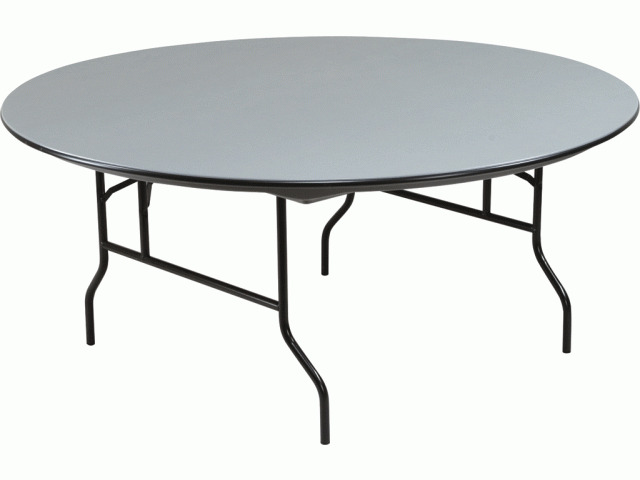 The Round Banquet Folding Table stands rugged yet folds flat for storage. 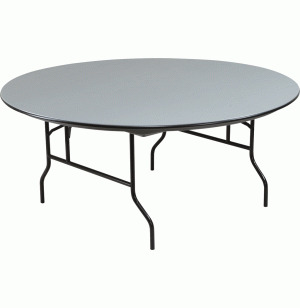 A perfect folding table for any banquet hall or church fellowship hall. This 72" table is made from two sheets of plastic, requiring a visible seam. Double lock steel folding legs with baked on enamel finish.